The Analyst is responsible for configuring, testing in Wipro proprietary Total Benefit Administration (TBA) System and delivering low to medium complexity analysis and test plans which accurately reflect the technical capacity of the System to address the requirements of the client. Configuring involves using systems and tools to design and set up tables/parameters. The Analyst role is to plan and deploy effective test suites and regimes for benefits program product design and software application development. > 3. Should have hands on experience in BDD / Behavior-Driven Development framework like Cucumber, JBehave. > 5. Experience in Junit are highly preferred. Company Name :Future Focus Infotech Pvt. Ltd.
> Greetings from Future Focus Infotech!! 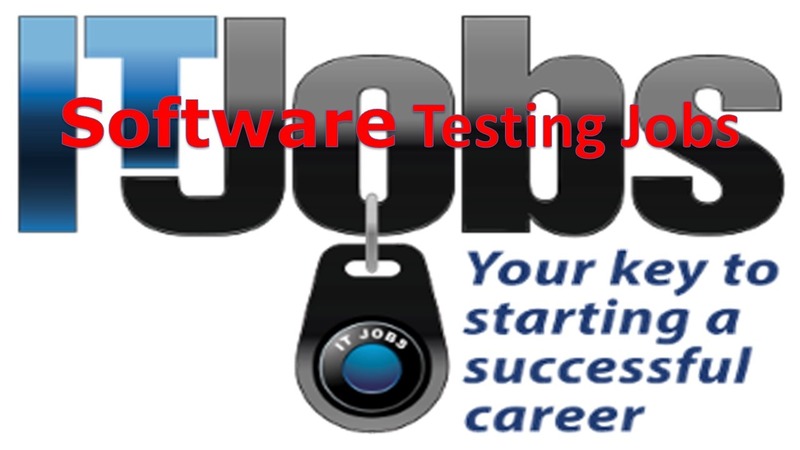 > We have urgent requirement of Selenium Testing (java) for Chennai location. Company Name :Artech Infosystems Pvt. Ltd.
> Should be automating given feature test cases using Python. > We have an excellent job opportunity for QA trainee role. Company Name: Chetu India Pvt. Ltd.
> Should have 2+ Yrs. experience in Manual Testing / Automation Testing. > Should have experience in creating Test Plans, Test scripts, Test cases. > Should have good knowledge in Selenium & QTP is an added advantage. > Should have good experience in SQL database. > Well versed Test Report preparation, Defect Tracking & Reporting. We are looking for a Software Quality Engineer to develop and execute manual and automated tests to ensure product quality. Contributes to test case writing, test case creation and test case execution for various components of EnergyIP product. Qualification: B.A. /B.SC in IT/ Computer Science/ Industrial Engineering/ Systems Analysis. You will oversee Software Testing along with Delivery activities, hands on validation and certification of the software readiness. > You will participate and contribute to internal design reviews of testing materials. > You will execute test procedures and/ or scripts either manually or by automated tools. Tracks and reports on the test execution in a timely manner with attention given to achieving a high level of quality. > You will gather and document the outcome of test executions and all information needed to support ongoing measurements and reporting on risks, defects, tests, and coverage. First level Software Testing & Release professional, representing the most common entry point into the organization. Performs routine activities related to software testing & release activities and documents test results. Focuses on learning and acquiring work skills/knowledge in the Systems Software Engineering field. > Administration of APM tools: Administer, support and maintain APM tools including instrumentation, configuration, creation of dashboards and reports as well as provide deep-dive and root cause analysis on Performance issues. > Responsible for APM Tuning and Network Performance/Capacity Analysis: Application Performance Tuning (Java and .NET applications). > We are hiring Mobile Test Engineer with 3+ years of experience for Gurgaon location. SQS INDIA BFSI Ltd is hiring for Automation Test Engineer – BFSI DOMAIN. Hands on experience in writing and execution of Automation test scripts. Exposure in SQL and UNIX. Interested candidates with Banking domain experience can apply, others kindly ignore. Note: Only male candidates are preferred. Qualifications: Bachelor’s degree in Computer Science or related field. The Software Quality Test Specialist has responsibilities primarily contributing to ensuring product quality & contributing to test automation for application software within Digital Services Technology teams. > Understand application domain and functionality, translate functional requirements and specifications into lean documented test cases and steps, with an eye to do automation-first. > Cultivate good domain expertise, be adept at test automation & demonstrate great customer focus, be passionate about quality. > Actively contribute to implementing the automation strategy under the guidance of senior members in team. > Use test automation techniques that fit the problem space. > Engage in technical discussions, participate in technical designs and present technical ideas for review & consideration. > knowledge in Selenium web drivers is an added advantage.